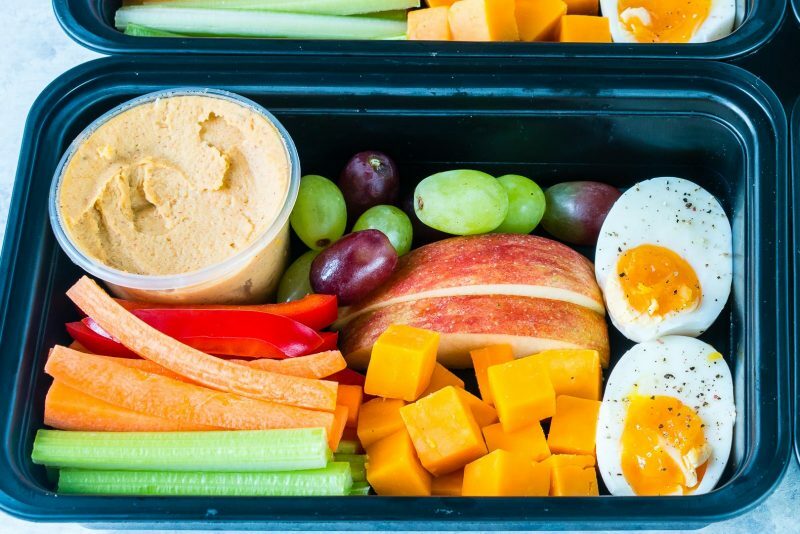 These Protein Bento Boxes Will Help You Stick with Clean Eating All Summer! pulse for about a minute or so, until smooth. 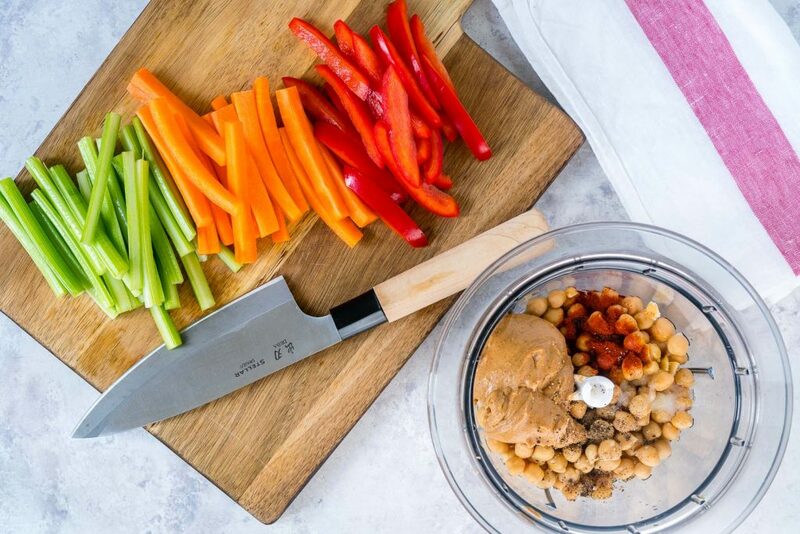 Divide it to 4 small containers. 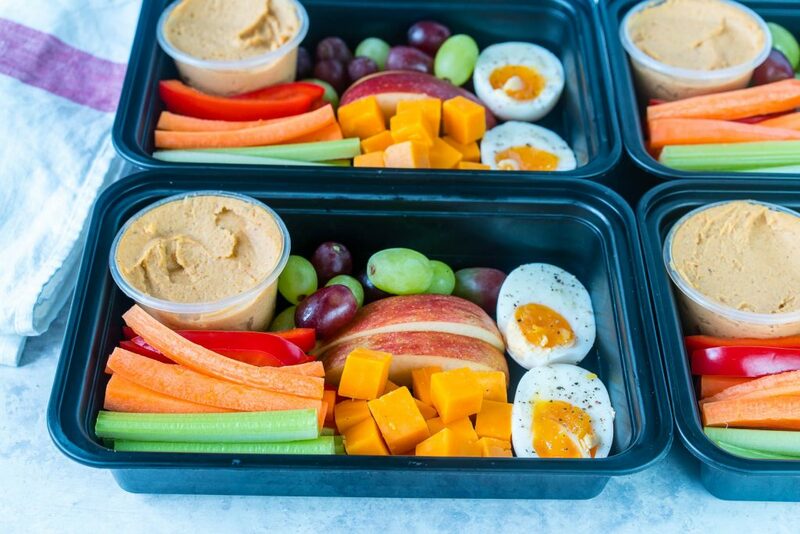 Arrange the carrots, celery, peppers, cheese, grapes and apple into 4 meal prep containers. 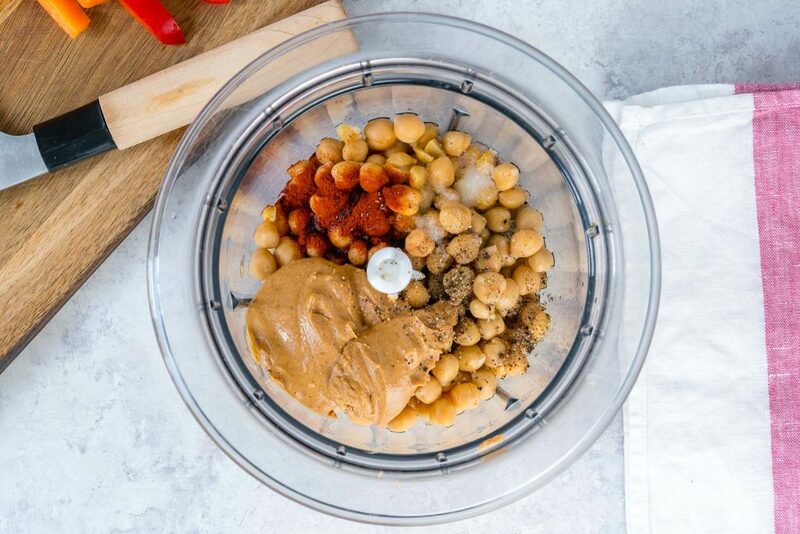 To make the hummus, place all the ingredients in a food processor and pulse for about a minute or so, until smooth. 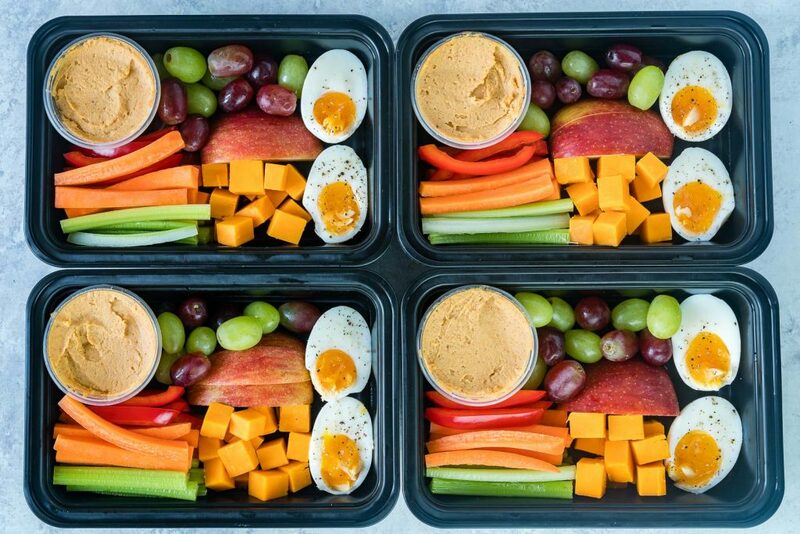 Add the small hummus containers and the cooked eggs.